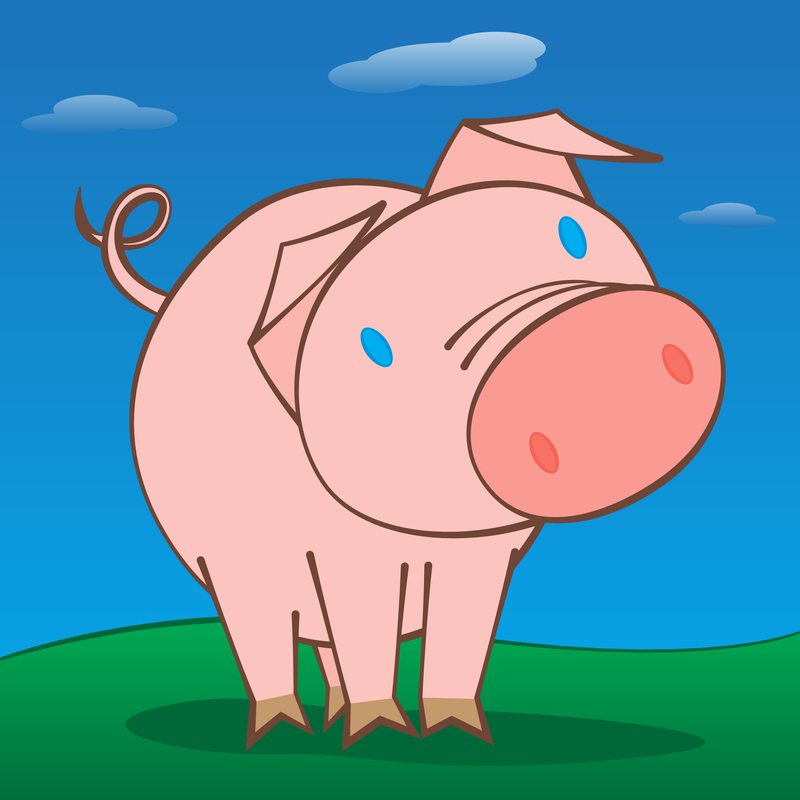 Cute Happy Pig — Vector illustration of a cute, happy pig in a green field with a clear blue sky. His interest is piqued by something in front of him. What is he looking at? .:. My-Free-Vector-Art.com .:. Vector illustration of a cute, happy pig in a green field with a clear blue sky. His interest is piqued by something in front of him. What is he looking at?